Rules of Evidence in International Arbitration: An Annotated Guide is a valuable reference for practitioners, arbitrators and in-house counsel involved in cross-border dispute resolution. Filled with examples drawn from arbitration case precedent, the book considers common issues and questions relating to evidentiary procedure. 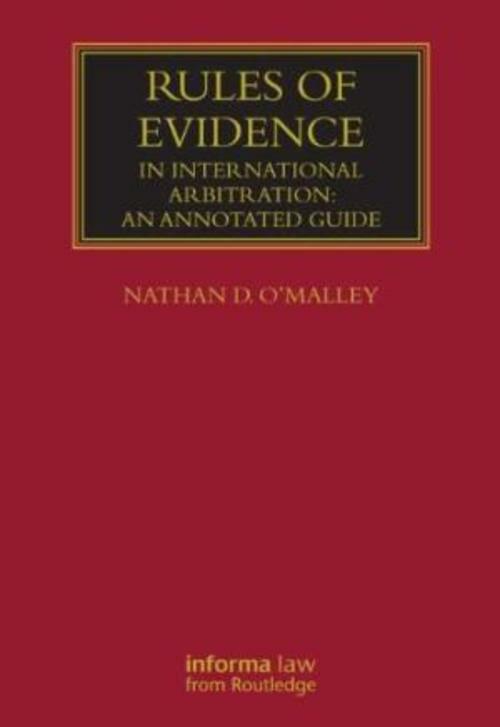 This book will be an essential reference guide on evidence for practitioners of international arbitration. Filled with examples drawn from arbitration case precedent, the book considers common issues and questions relating to evidentiary procedure. Arbitrators and counsel will gain from this publication a better view of the best practices, accepted solutions to difficult procedural issues, and fundamental due process considerations which arise in connection with the use of evidence in international arbitration.